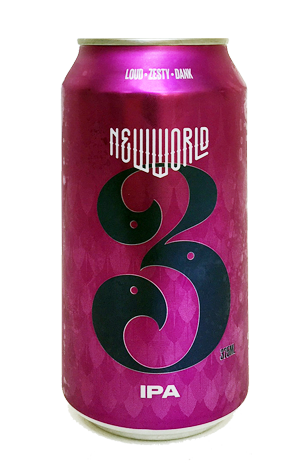 Coming in bold purple cans is the New World IPA, possibly the first "normal" IPA from the Thornbury brewery in its 15 years of existence. Sure, there's been the ongoing Juicy series of NEIPAs plus various double, black and imperial IPAs over that period, but we can't recall anything quite like this. While its new stablemate, Tropical Pale Ale, looks to cram as much juiciness and body into its 4.2 percent ABV, this heads the other way: lean and dry. The can cries "LOUD, ZESTY, DANK" and, of those, it's the zesty that's key, with grapefruit tying things together, from aroma through flavour to its drying bitterness. It's reminiscent of Thornbridge's Jaipur more than than the fruit bombs found in ever greater numbers, and that's not a bad beer to conjure.